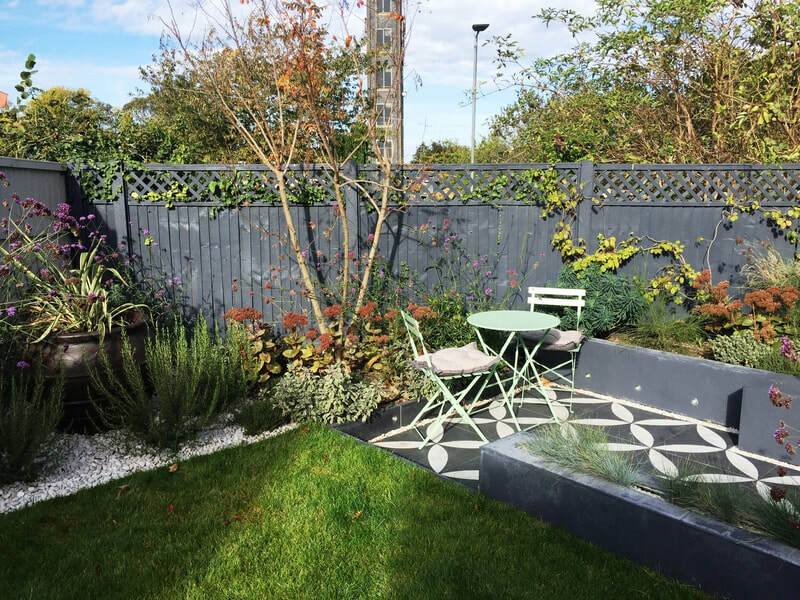 Our clients inherited an artificially-turfed lawn and a garden without plants, but wanted a space where they could feel like they were on holiday, all year-round. 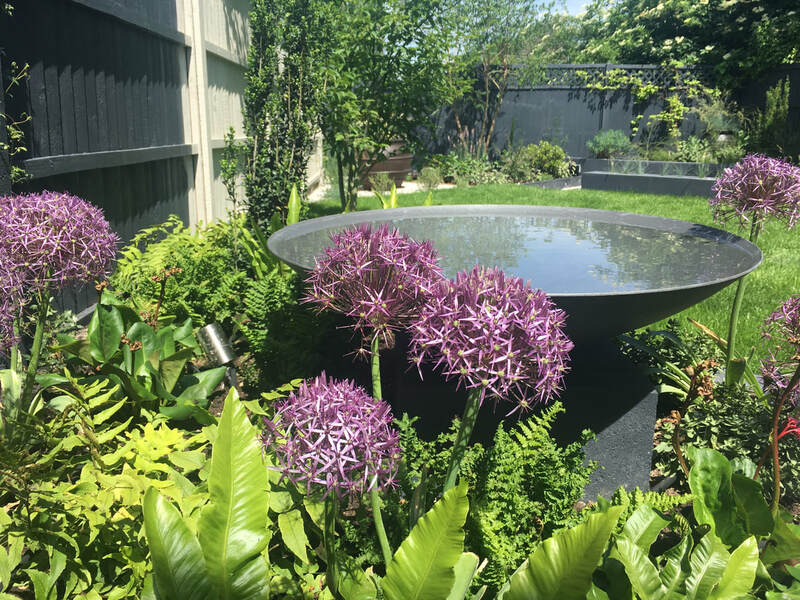 They both work hard, and so craved a place to enjoy being in - to relax and entertain. 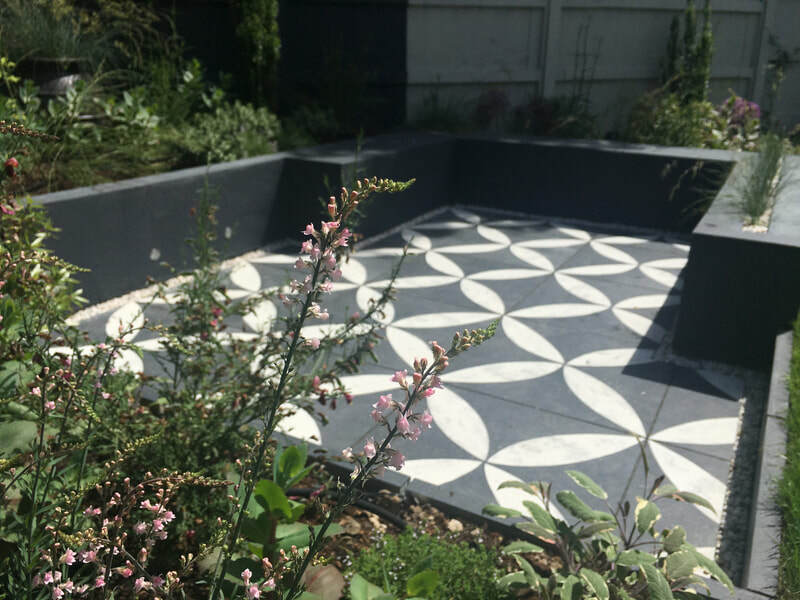 We designed the garden on the diagonal, to make the garden feel a lot larger, drawing the eye across the lawn and patios, and used large tiles and stones to give a feeling of space. 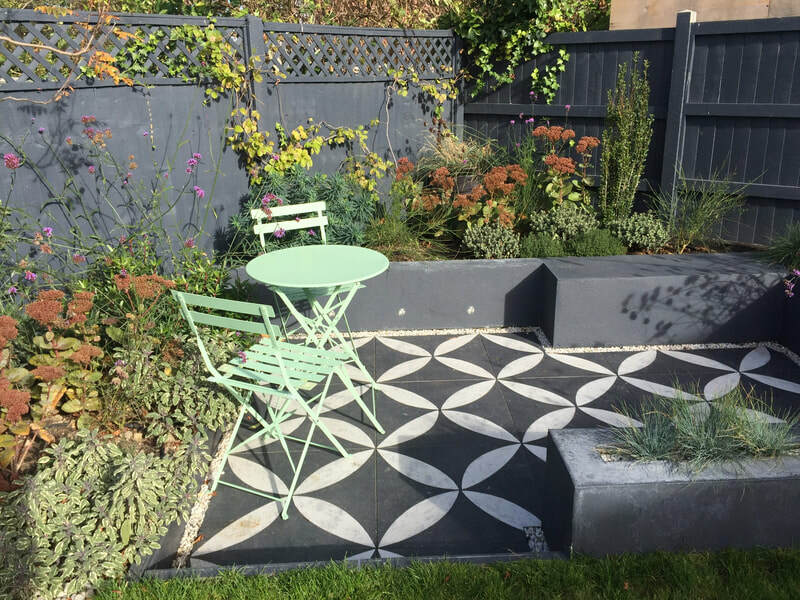 By raising the planting bed and sinking the patio slightly, the differing levels give interest and a sense of scale. 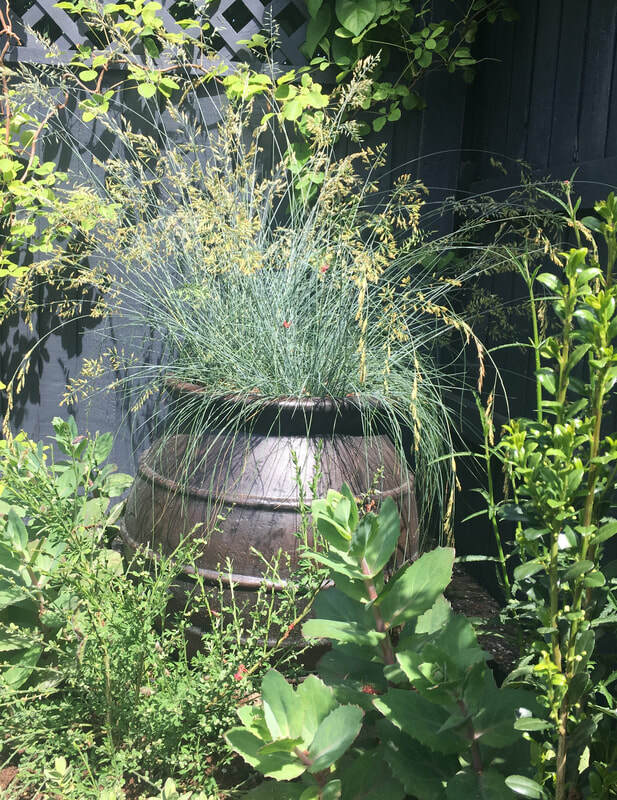 The planting cleverly uses species that although look Mediterranean (in their form and textures), actually cope very well with our colder, wetter climate. 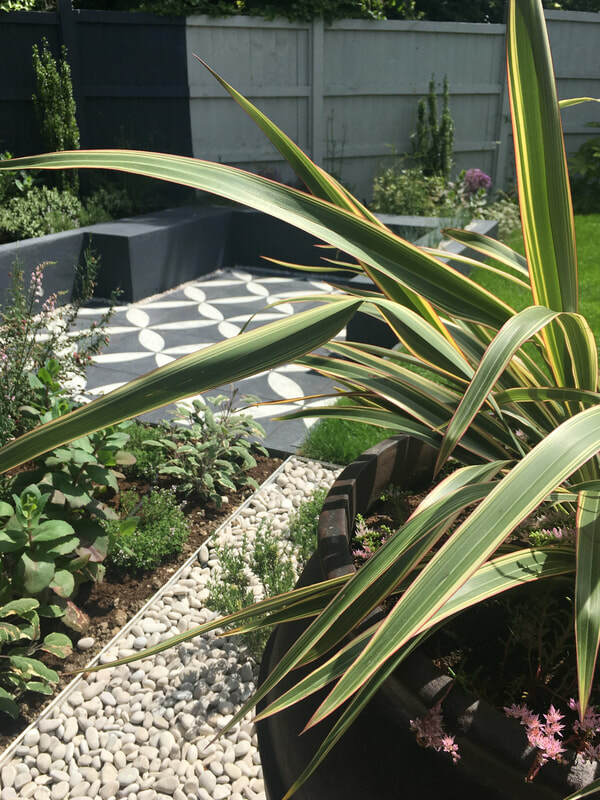 By using dark paint on the fences and the rendered walls, the plants really stand out and large pots within the planting and on the gravel bed help to provide focal points for some striking specimens. 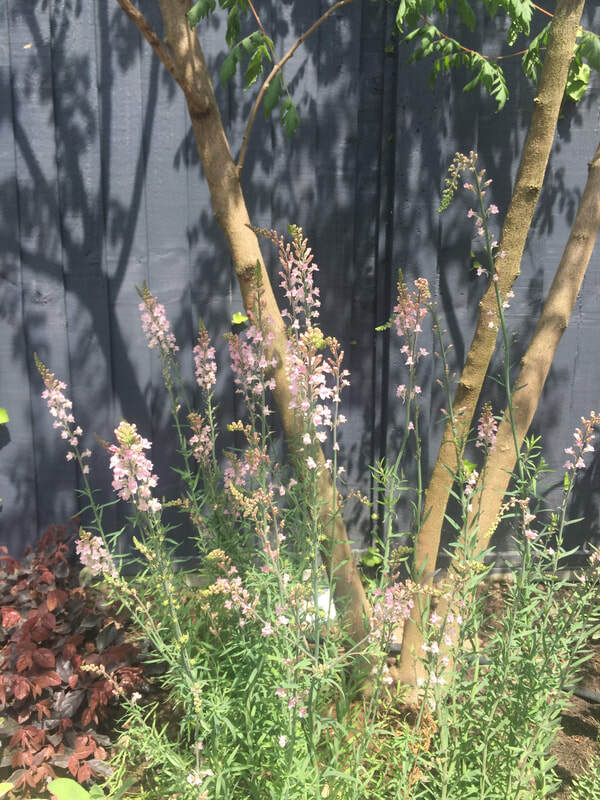 Multi-stem trees provide some lovely shade and interesting shadows. 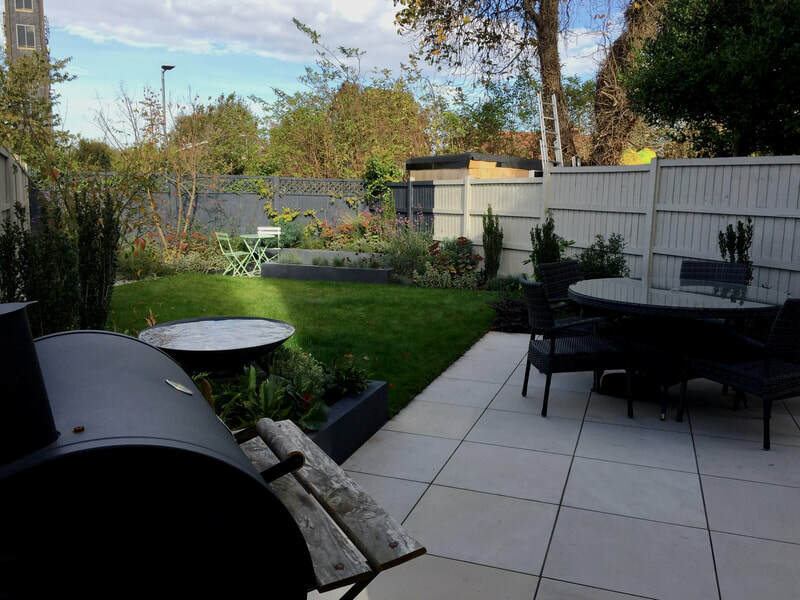 We had our family over, and found that people naturally move around, between the three main areas - grass, patio and seating area.......it worked really well!"